The proverbial biological clock in women often influences their family and career decisions. However, many women get prepared for pregnancy only around the age of 40, and a woman seeking IVF after 40 years of age, especially with self eggs, only has a 12% chance of success. So if you are a woman near or over the age of 40 years and are planning to conceive, go through the below information before you arrive at an IVF clinic. How does age affect IVF results? Female fertility is known to start declining rapidly at the age of 36 and by 45 years, there is only 1% chance that you can conceive with self-egg IVF. 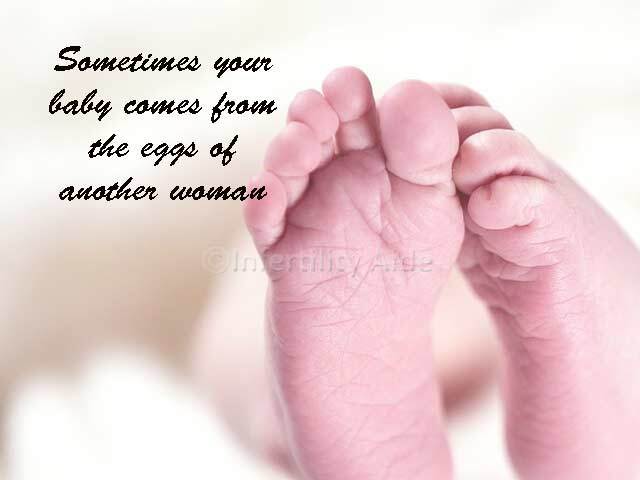 As you start to grow older the quality of eggs in your ovaries begins to deteriorate, and the chromosomal changes that take place render them less useful. The depleted ovarian reserve is another factor that makes IVF for women over 40 years less successful. In younger women the doctor can collect a large number of eggs resulting in more embryos out which the doctor can choose the best ones to implant, but same may not be the case for older women. With fewer and poorer quality eggs, the chances of conceiving may go down to 1/16th or 6.25% and combine with it other factors like receptivity of uterine lining and your chances are less than 5%. Now, it is important to know that your ovarian reserve and quality of eggs is determined by a lot of genetic and environmental factors and it is not the same for all women. My own mother had her third child when she was 40, so I have a reason to believe that I can stretch my fertile window a little, but am I willing to take the gamble? Not sure. In about 10 percent of the cases, IVF failure is blamed upon the failure of the uterine lining to accept the embryo. If that is determined to be the problem in your case, you might have to hire a surrogate. If you are near or over the age of 40 and looking to get pregnant with IVF, your doctor will likely suggest the option of IVF with donor eggs. There is another mini-IVF program for older women being talked about and in future it maybe the gold standard of IVF for older women but as of now, IVF with donor eggs is the way. 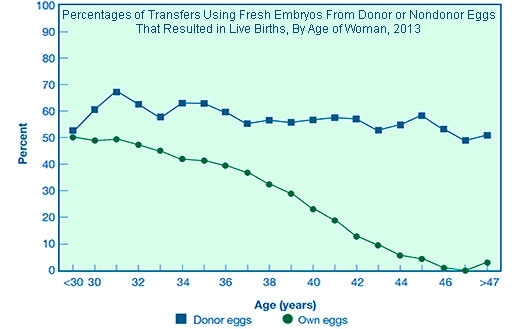 If you are reading this while still in your early 30s, you have the option of freezing your eggs for use later in life. What about the success of IVF with frozen eggs? Hadn’t we heard IVF results are better with fresh gametes and fresh embryos? There hasn’t been enough research on this to draw conclusions yet. But young frozen eggs can be way better than older eggs. There is nothing like being able to conceive naturally, but it becomes harder as you age. Egg quality is one of the main reasons for failure of IVF and once their own eggs have gone bad, many women have to resort to the use of donor eggs for IVF. When you freeze your eggs at a younger age, it means you will be able to use your own eggs for IVF later in life, instead of a donor’s. Older women have higher rate of complications—diabetes, hypertension, premature labour—during pregnancy but it cannot be called unsafe. This study about maternal age in Australia, found that 80% of the women who got pregnant after the age of 45 had no complications in their pregnancy. There have been recent examples of 62-year-old woman in Spain, and a 72-year old woman in India having a baby with IVF. That said, complications in pregnancy can also arise from personal factors. It is advisable to discuss your individual case with your doctor in detail and weigh the possible risks and complications before you plan to carry out a pregnancy. Near or after the age of 40, if a woman wishes to have a baby that she is unable to have with natural conception, she has the option of IVF with donor eggs. And for ambitious young women, who think pregnancy and child bearing might not happen for them at the ripe age, there is an option of egg freezing. It has been so endorsed that companies like Apple and Facebook even offer egg freezing benefits to female employees. Are you planning IVF? 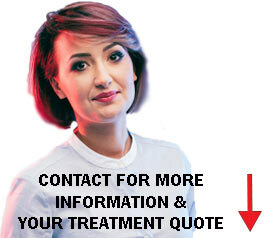 Write to us for your treatment quote using the form on the right. How successful is IVF for women over 40 years? If you are planning to conceive, read this information before you arrive at an IVF clinic.